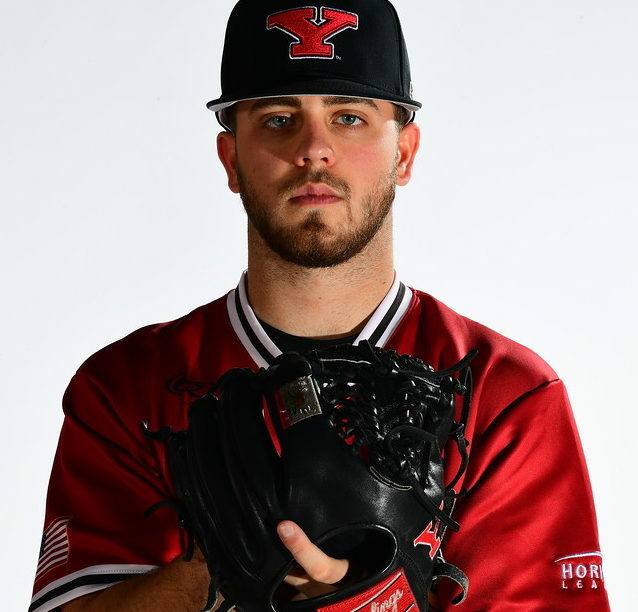 YSU Senior Relief Pitcher, Joel Hake is as “Youngstown” as it gets on the diamond. He’s a scrappy slinger that graduated from Ursuline after helping his team to four district titles in his high school days, and as of late, Hake is one of the top relievers in Dan Bertolini’s bullpen. In his career at YSU, he’s tallied just over 120 innings and in those frames, he’s struck out 81 and only walked 36 tallying five saves along the way. This year has been especially tough for Joel as he’s started out rehabbing a lingering injury after pitching just one inning keeping him grounded through the most part of the first two series of the season. When Hake receives the green light to come back…look out. Although Joel majors in nursing, he has no second thoughts about tearing through the competition in 2019. This year, Joel intends to add to the outstanding numbers he generated last year as well as to his legacy at the Penguin Closer. Our Steve Leslie (and Joel’s former Manager) sat down with Hake in Tallahassee just before the FSU series to discuss past, present, and future for #3 in your programs for this week’s YSU Penguin Baseball Player Profile: FOR GOODNESS’ HAKE.